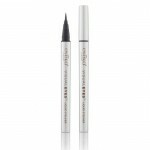 Get Some Free Eyeliner Samples By Mail! If you’re looking to raise your eyeliner game without risking your wallet, we can’t urge you enough to check back here every day. We search across the web daily to find great FREE sample offers from the likes of Cover Girl, ITALIA, e.l.f. 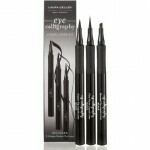 Cosmetics, and a whole range of other great eyeliner brands. FREE Laura Geller Eye Calligraphy Liquid Eyeliner Kit – This offer will go live on July 9th at 12pm EST for the first 500 people who enter! IMPORTANT: Before you enter make sure you select “No” under the “Special Offer” section or you will end up subscribing to their paid magazine subscription.